I read with sadness that this year, Tunku Abdul Rahman University College (TAR UC) will not be getting some of the financial assistance it received over the past 50 years. 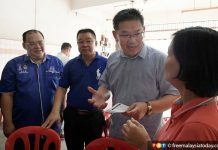 The Pakatan Harapan government, on Dec 6, said in Parliament that the government would only provide TAR UC with a development fund of RM5.5 million, not the RM30 million matching grant it had been getting under the previous Barisan Nasional government. The reason for this retraction of funding was that TAR UC has political ties with MCA. My utmost respect to the principle behind the reason given, as well as to Finance Minister Lim Guan Eng who has foiled critics who would like us to think that he favours one race. But I would like to go on record to say I believe the funding for TAR UC should be continued. My reasons are as follows. Firstly, TAR UC has never indulged in any extremist activities that would destroy our nation-building efforts to create a harmonious society. 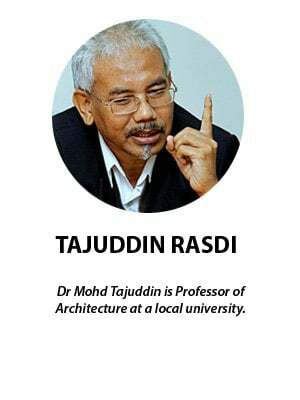 I have read that Universiti Teknologi Malaysia once held a seminar attacking the lesbian, gay, bisexual and transgender community, while Universiti Teknologi Mara (UiTM) held a conference attacking our fellow Christian citizens. Universiti Sains Islam Malaysia also held a forum on the conditions to kill Malaysian citizens who are considered, under Pahang mufti Abdul Rahman Osman’s classification, “kafir harbi”. These three shameful acts of bigotry and extremism have no place in a Malaysia where tolerance and respect for diversity form its two main anchors of co-existence. I do not remember TAR UC acting in this shameful manner, which is a testament to its commitment to producing level-headed Malaysians devoid of a sense of bigotry or racial and religious extremism. Secondly, TAR UC has been providing high quality education at a most affordable fee that has put hundreds of thousands of young Malaysians into the job market and created a good and tolerant society. Agriculture and Agro-Based Industry Minister Salahuddin Ayub is one such character. 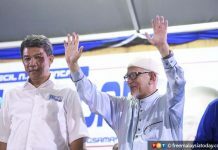 A man of strong Islamic faith and commitment, he follows the true path of Islam, not the brand touted by his former party, PAS, which supports leaders who have been tainted with massive corruption and hurtful messages of extremism. I, too, sent my niece and daughter to TAR at one time. My niece was studying for a certificate in fashion design and my daughter took a diploma in Mass Communications. Both have turned out to be well-rounded citizens. My niece once worked in the office of former Skudai assemblyman Dr Boo Cheng Hau while my daughter became a journalist with BFM and is now a full-time lecturer at First City University College, having obtained a masters degree from Monash University. Neither of them ever said a word to me about being discriminated against while they were there. Both enjoyed studying there and have no qualms about recommending TAR to other Malay families. For that, I wish to credit MCA for being a party that has put the interest of the country above any racial ideology, although the party is one which supports a race-based philosophy. I would like to go on record again to say that I am against any race-based or religious party and would not hesitate to support a law that disallows any political party to be based on religious or ethnic grounds. I would not hesitate to sign a memorandum outlawing the existence of parties like Umno, MCA, MIC, PPBM and PAS. Although each of these political parties, except for the new PPBM, has made great contributions to its members and the country, we must move on and disregard these entities as we enter a new future. Having said that clearly and in no uncertain terms, I praise MCA for being a moderate party which contributed greatly to nation-building during Malaya’s formative years, and for its sacrifice in setting up and sustaining TAR UC until now. 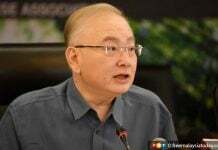 With respect to Lim’s principle that TAR UC can be given funding if it severs ties with MCA, I would say that while the minister’s principle is most admirable and idealistic, non-political interference in some universities in Malaysia is impractical. As long as UiTM exists, there will always be political interference. As long as public universities have 80% funding and not 50%, there will be interference simply because these entities belong to the people of Malaysia. Private universities have no political interference because their owners are private citizens. TAR UC is an entity created by a political party and in that sense, I see no difference between it and UiTM. The huge elephant in the room is that TAR UC was gracious enough to allow my niece, daughter and my friend Salahuddin to study at an affordable price while the other allows in only one race. I therefore have no problem with TAR UC being “politically connected” to MCA. Has MCA ever raised a sword in the halls of TAR UC, shouting slogans of abuse against Malays and Islam? Have its vice-chancellors spoken to derail our nation-building efforts by uttering statements that would jeopardise national harmony? I seem to recall one vice-chancellor of UiTM indulging in racial statements that, to me, were totally unbecoming of a civil servant of the nation. Finally, if for nothing else, I wholeheartedly believe that TAR UC’s funding should be continued in memory of the father of our nation, the humble and easy-going but hardworking Tunku Abdul Rahman. The Tunku was a unique individual who did not indulge in building mega projects such as the Petronas Twin Towers, the Penang Bridge or a whole city called Putrajaya. His simple sense of tolerance, compassion and balanced political experience brought him the trust of all communities. There were other leaders during his time but they were too “ultra-Malay” to gain the trust of the whole nation of diverse faiths, cultures, languages and expectations. The simple concrete building of TAR UC boasts no special architectural characteristics. The landscaping of the campus boasts no requirement of maintenance like Putrajaya. The students drive Kancils and Myvis as opposed to the Vios and Civics seen at other private universities. The whole atmosphere of the campus is compact, full of simple life and gurgling with enthusiasm for study towards an assured future. The Tunku promised that we would live a life of calmness, dignity and happiness in a moderate existence of financial stability, social respectability and political honesty. TAR UC, in my opinion, speaks volumes of the legacy of the Tunku. Let us all continue to support TAR UC as a manifestation of the true spirit of Malaysia.